We’re always thinking of new ways to make finding the perfect tile easier and more efficient for our clients. 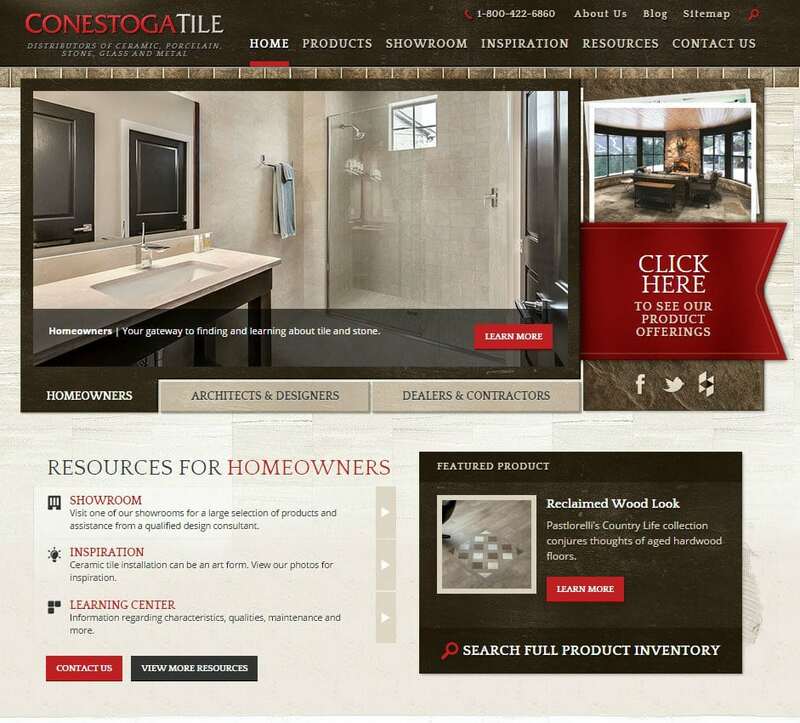 Towards that goal, we’re proud to announce that the Conestoga Tile website launch has been a great success. The new website is designed to make finding the perfect tile just a little bit easier. With advanced sorting features, you can search through the many variations of porcelain, natural stone, ceramic, and glass tiles we offer. With intuitive controls and options coupled with detailed product information, we’ve made researching the right tile as simple as a few clicks of your mouse. The site is easily navigable whether you are an architect or a designer, a homeowner or a distributor. In fact, each search feature and description is designed to give you precisely the information you are looking for. This makes it a fabulous tool that can shave days off your search while allowing you to research as many tiles as you desire. We invite you to contact us today for more information about the new Conestoga Tile website launch. We’ll be happy to help you navigate the system so that you can choose the tiles you’ve been searching for.